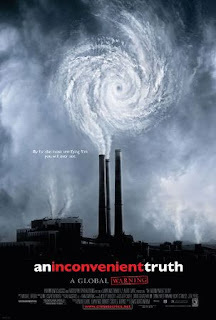 If you want to see a horror movie that built upon a foundation of realistic fears, then “An Inconvenient Truth” is the movie for you. Forget that you are a Republican or Democrat. Forget that your part of the Greenpeace movement or if you drive a Hummer. “An Inconvenient Truth” has a message for everyone regardless of what they believe in, and that message is “we need to wake up.” For over thirty years former Vice President Al Gore (though he introduces himself as “I’m Al Gore, I used to be the next President of the United States”) has been very concerned about the environment. I know there are some people who would debate that, but for the sake of this movie let’s pretend he does. He cares about the environment. One of the things he worries about most is global warming, which in his eyes is causing rivers to dry up, ice caps to melt, and storms to become fiercer. 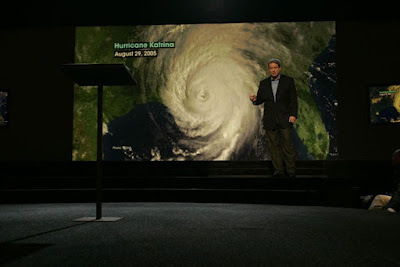 Since Hurricane Katrina was a sad reality during the making of this film, we get the sense that he only feels more powerfully about the subject now. Whenever he wasn’t in office (and even a few times when he was), Gore was traveling the nation with this slide show trying to bring awareness to this inconvenient truth. What’s scary is how legitimate this all sounds. Now, I’m not going to get too political in this review. I know that (despite what this film says) there IS some conflicting research on global warming! While we know it is happening, the actual cause of it hasn’t been proven without a shadow of a doubt. That might not sit well with Gore, but it’s the truth. 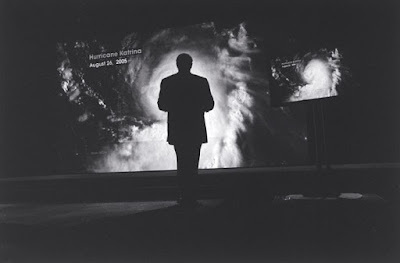 What makes “An Inconvenient Truth” a powerful documentary then is the fact that while this stuff can’t be proven, it sure is a scary thought. When Gore flips between his “before and after” pictures of melting glaciers, one cannot help but feel increasingly worried as the film goes on. Even if the point is not solid, we hear the message loud and clear. 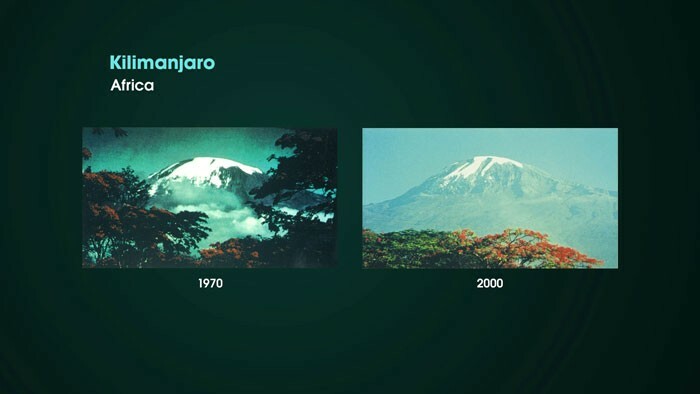 That point is that the we are using too much energy, and if we don’t slow down we could potentially do some long-term damage to our planet that can’t be reversed. Now what if this film is wrong? What if driving less doesn’t help with global warming at all? Well, in that case you save on your gas bill. But if this movie is right, we’re going to be kicking ourselves for being so selfish with our resources. As Gore states early on, “this is not a political issue but a moral issue.” I personally agree. While I do believe “An Inconvenient Truth” is slanted to fit an agenda, it’s not an agenda that is evil. It’s a warning worth thinking about at least. Parents there is only very mild language. However, many of the images and arguments are disturbing...but not in a graphic way. Recommended for ages 5 and up.